Bollywood Superstar and the Kolkata Knight Riders team owner Shah Rukh Khan is so desperate to sign Mahendra Singh Dhoni for his IPL team that he is even ready to sell his Pyjama. 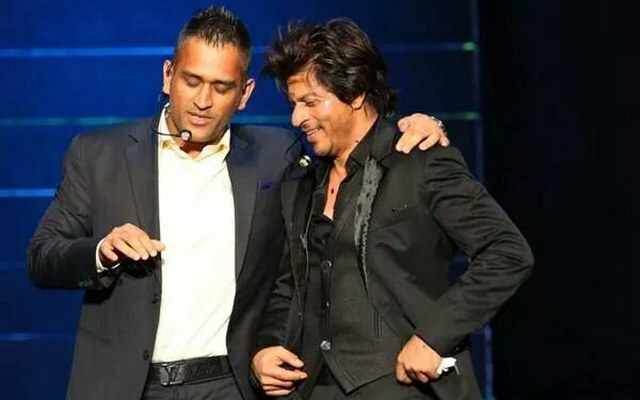 As quoted by SportsWallah, Shah Rukh Khan said: “Yaar main toh usko apna Pajama bech ke bhi kharid lun, wo Aaye toh auction mein,” (I am willing to buy Dhoni even if it means selling off my pants, but he never goes under the hammer in IPL auctions). In 2008, Khan, in partnership with Juhi Chawla and her husband Jay Mehta, acquired ownership rights for the franchise representing Kolkata in the Twenty20 cricket tournament Indian Premier League (IPL) for US$75.09 million. Shah Rukh Khan was awarded the Padma Shri by the Government of India in 2005. The Government of France has awarded him both the Ordre des Arts et des Letters (2007), and its highest civilian honour, the Légion d’honneur (2014).